Factoring in a buoyant econ­omy, every top executive agreed that the industry’s prospects are as bright as they have been for years. Typical of that view was Adam Satterfield, chief financial officer at Old Dominion Freight Line Inc.
“The LTL industry is benefiting from tailwinds,” said Keybanc Capital Markets analyst Todd Fowler, who believes favorable industry conditions will remain in place for the next 12 months, barring an economic shock. An intense focus on offering higher levels of service, accomplished in a variety of ways, is the foundation for capitalizing on the favorable environment, company leaders told Transport Topics. “Superior customer service, the ability to offer end-to-end supply chain solutions and trusted expertise are differentiators,” ArcBest Corp. CEO Judy McReynolds said. “While some shippers want just LTL alone, increasingly we find that customers seek full solutions and a range of options, along with expert advice on how to optimize their supply chains.” ArcBest ranks No. 13 on the for-hire TT100.. In tight freight markets, simply having available equipment can set carriers apart. “Carriers who can offer capacity will be in a good position to take share,” said Ray Ramu, chief commercial officer at Saia Inc., the No. 27 carrier on the for-hire TT100. Ramu cited the LTL fleet’s expansion into the Northeast and multiyear strategy to serve all 48 contiguous states. The expansion of e-commerce is another major consideration. Hawkins illustrated that growing importance by noting that retailers now generate 40% of YRC’s business, compared with 25% a decade ago.YRC ranks No. 6 on the for-hire TT100. XPO Logistics Inc. President Troy Cooper underscored the value of linking LTL service with the company’s burgeoning network of final-mile delivery hubs that is being increased to more than 80 facilities. Paul Hoelting, senior vice president of sales at UPS Freight, also stressed the value of final-mile services for LTL operators. “As residential shipments increase, LTL carriers will begin to build more route density that will ultimately reduce the costs associated with serving this market,” he said. Hoelting underscored the critical link between expanded service offerings and familiar basics such as on-time and damage and claim-free service. UPS Inc. ranks No. 1 on the for-hire TT100. “The introduction of technology, and the ability to use it well to make the best decisions, is now — and will continue to be — a big differentiator,” he said, pointing to the use of handheld de­vices and in-cab technology. Industry leaders stressed multiple benefits and opportunities afforded by the use of technology. Estes ranks No. 14 on the for-hire TT100. Cooper said XPO uses handhelds and inspection tablets for drivers and dockworkers as well as new LTL algorithms for pricing and network optimization. That’s accompanied by web integration to give customers more capabilities — without custom programming — for delivery and pickup management, pricing and planning and electronic document handling. XPO ranks No. 3 on the for-hire TT100. Information from the truck, including data generated by electronic logging devices, also is making a positive contribution, said YRC’s Hawkins, ODFL’s Satterfield and others. “We see a tremendous opportunity for blockchain to streamline and enhance the supply chain,” Hawkins added. YRC is a member of the Blockchain in Transport Alliance, which seeks to create standards for the distributed ledger technology in the transportation industry. Satish Jindel, who heads SJ Consulting, identified multiple ways technology can be leveraged to benefit carriers and customers to enhance efficiency and reduce waste. LTL carriers have made noticeable progress in capturing product characteristics such as weight and cube, but more advancements are needed to enhance freight rating accuracy, he said. That will help to keep customers on an even playing field. Jindel credited carriers that measure cube at the customer’s dock instead of at a terminal. Earlier availability of that information will help carriers to plan better and boost linehaul load factors, he said. Another positive step will be to convert paper LTL bills of lading to electronic transmission, which will reduce costs and errors alike. Parcel carriers receive 95% of bills of lading electronically as they put about 2,000 shipments in a trailer. By comparison, about 30% of LTLs carriers’ bills of lading are transmitted electronically for a trailer with perhaps 50 shipments, Jindel said. “They have to get that up to 70% — fast,” he said. LTL fleets also have learned from past mistakes on pricing, Keybanc’s Fowler said. As evidence, Fowler pointed to weak freight markets in 2015 and 2016, which LTL carriers weathered without reverting to price wars. Meanwhile, improved pricing and financials are encouraging investment, Fowler said. Investments at XPO, for example, include $90 million in equipment over 12 months, Cooper said. 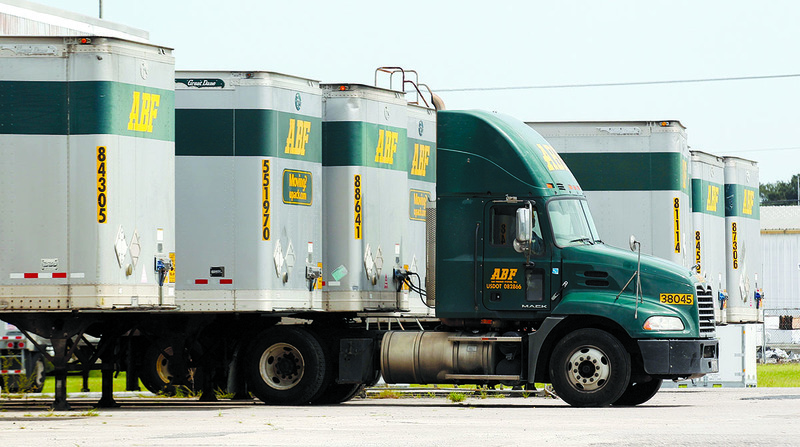 “We’re making these investments because we see attractive short- and long-term LTL market opportunities,” he said. A focus on people also is evident. Cooper said XPO hired 190 local account executives in less than six months, with additional hiring planned. Saia’s Ramu stressed stability as a key factor in recruiting. “Potential candidates want the security of knowing the company will be around in the future,” Ramu said, adding that Saia’s lengthy industry record has helped to attract talented employees. “Having a successful history demonstrates a winning culture. People want to be part of a strong culture, they get excited about it, and they want to contribute to it,” he said. Hupp, of Estes Express, summed up the importance of the human factor in trucking.